Children in Action is a coed group designed for boys and girls to come to faith in Christ as Savior, while making missions an important part of their daily lives. They learn what it means to live a missional lifestyle while they participate in Bible study, missions projects and engaging activities. They also have a lot of fun as they “travel” to various places around the world when they learn about and pray for the work of missionaries. The Children in Action motto is “Send Me!” and CAs do just that — they are sent to serve others and practice what they’re learning through hands-on missions opportunities. Their experiences lead to a lifelong commitment to Christ, His mission and His church. Download a free CA starter pack. Each starter pack includes sample curriculum materials so you can get started right away! Children in Action Leader is the planning guide/kit essential for your weekly Children in Action meetings. It includes a full-color poster, reproducible activity pages, Bible-learning activities, and missions project ideas. Designed exclusively for boys and girls in grades 1 through 6. One per classroom or per leader. Go on a great expedition! 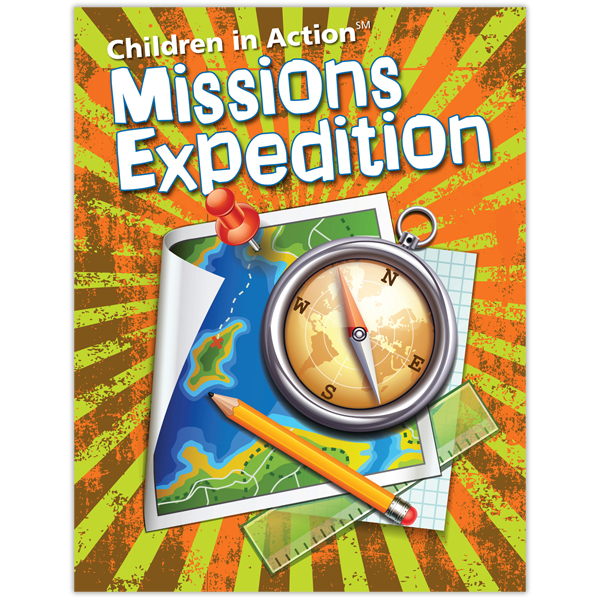 Missions Expedition is the achievement plan for Children in Action. Keep your group engaged with more than 150 hands-on activities, Scripture memorizations, and ministry ideas. 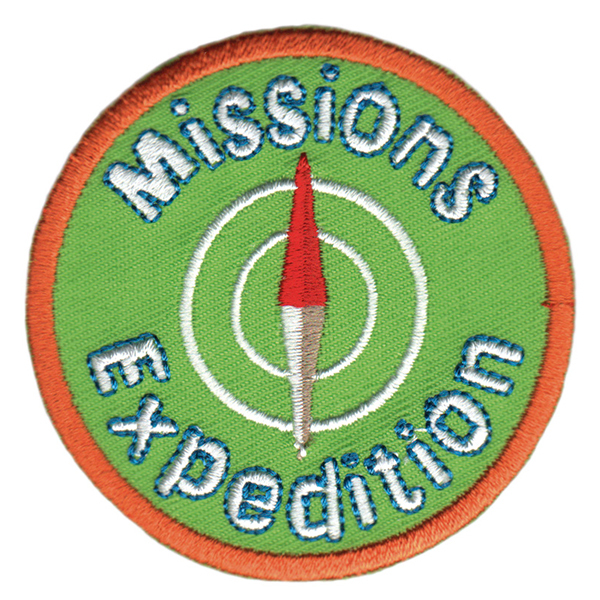 Give this recognition badge to children as they begin participation in the Children in Action Achievement Plan (Missions Expedition). For resources and updates related to Children in Action, sign up for our emails.